Picture explains it all really! 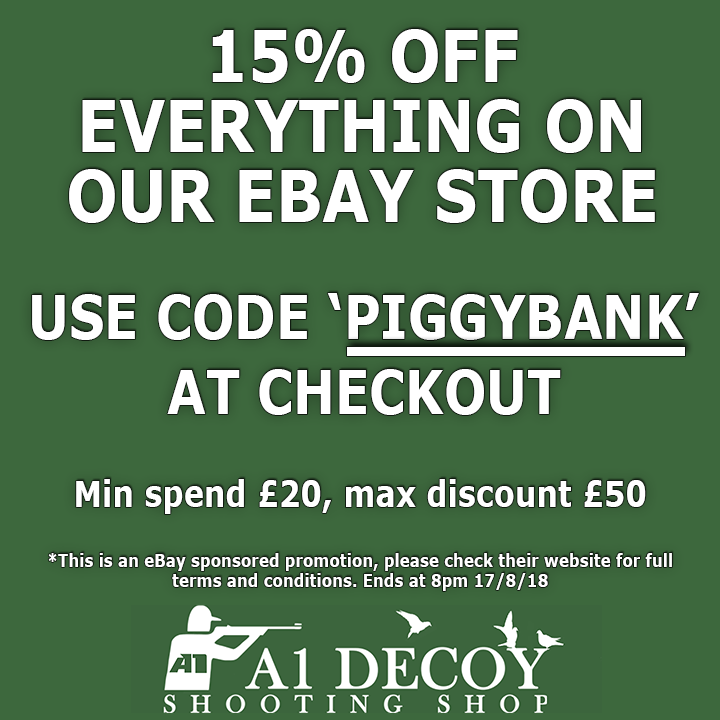 Just to say, this is actually an ebay-wide discount until 8pm, using the same code. Yes! Definitely a good deal if you want a more expensive item. We have a Nitesite viper dark ops on offer for £479, with the eBay discount it has another 15% off making it £429 so a saving of £70! Who pays for that? Ebay presumably? I’ve always wondered who takes the hit. Yes, eBay takes the hit. The eBay sellers get the full price. They must take a massive hit too, but they make it all back on fees I suppose.